The Ombudsman for Children, Dr Niall Muldoon today launched a unique rights awareness competition with the support of the Irish animation industry. This once-off competition is part of the 25th Anniversary of Ireland’s Ratification of the UN Convention on the Rights of the Child. Joining forces with the hottest talent in Irish animation, this collaboration offers children and young people a creative and innovative way to engage with their rights. Under the UN Convention, a child has 42 individual rights. All the young person has to do is draw an image that reflects a right that means the most to them. A panel of judges will choose five winning drawings and turn them into animations. The judges include: Cartoon Saloon, Kavaleer Productions and Mooshku studios. The winners will also get an exclusive tour of award-winning Brown Bag Studios. The Ombudsman for Children and animation industry are calling on all schools, community youth groups, organisation and individuals to get creative and get involved. Closing date for the competition is 16th June 2018. 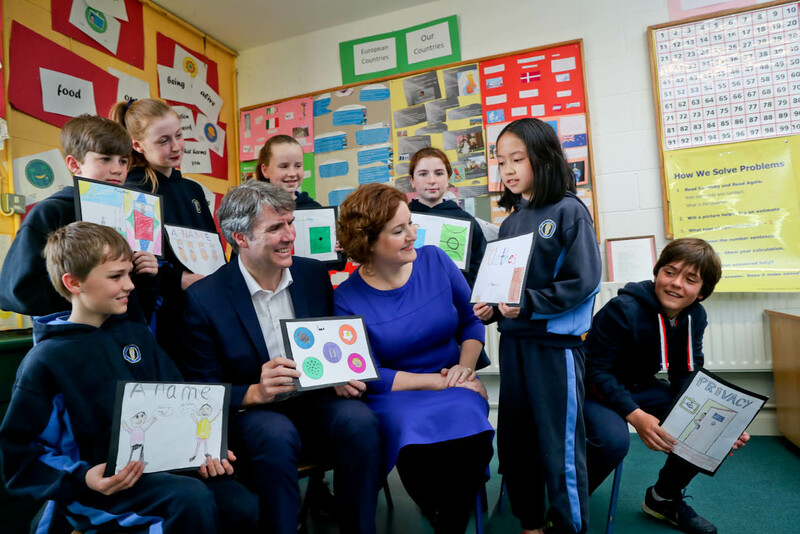 Photo notes to Editor: 5th class students from Guardian Angels National School, Newtown Park Avenue, Blackrock, Co Dublin presenting their competition entries to Ombudsman for Children Dr Niall Muldoon and Meabh Tammamagi, judge from animation studio Mooshku.